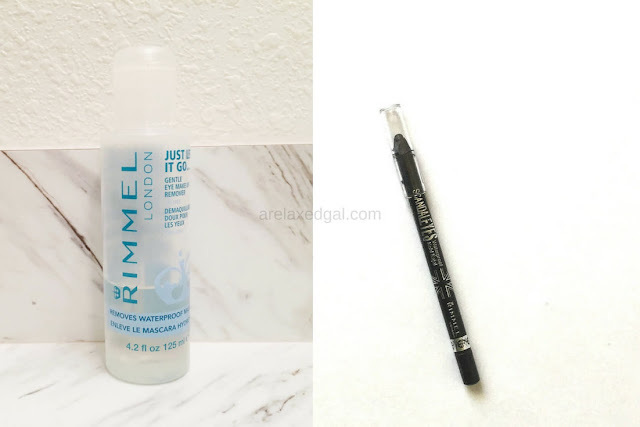 I received two Rimmel London eye products free from Influenster in the Frosty VoxBox for testing and wanted to give my own thoughts after using them for a few weeks. "Long lasting shocking color intensity with kohl Britania High intensity color for an instant color impact Ultra smooth & creamy formula that glides on easily. In 10 available shades." "Waterproof, smudge-proof, sweat-proof, heat-proof, humidity-proof and scandal-proof." So far I'm liking this eyeliner. It goes on easily and is visible when on. It also has lived up to being water and smudge proof. This stuff is hard to get off and I don't see it all over my fingers when I accidentally rub my eye. I can see myself buying this when the stick I have is all used up. "Long lasting and waterproof eye make up remover. Suitable for sensitive eyes & contact lens wearers. Dermatologically and ophthalmologically tested." "Gently removes all eye make up including long lasting & waterproof make up, with no oily residue." I'm not one to spend money on these special makeup products. I like to keep it simple in my make up case and for my wallet. Since this was included in the Frosty VoxBox I decided to give it a try. I have to say I'm not really impressed. It does a good job of removing my eyeshadow, but not the eyeliner. 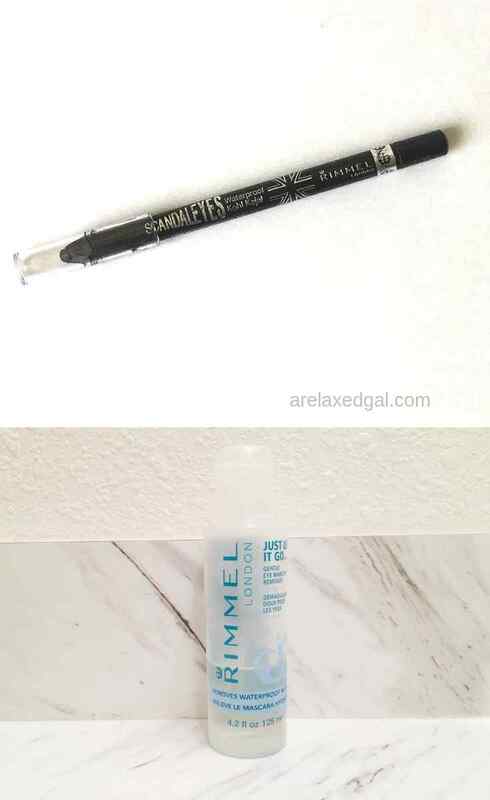 Especially the Rimmel Scandaleyes. I have to use three cotton balls per eye to remove the eyeliner. Also, it has an odd smell that I can't really describe. The one good this is there isn't any oily residue. In fact, my eyelids feel a bit dry afterward. This is one product I don't see myself purchasing. I'm not even sure I'll use up the entire bottle that I received. Have you tried either one of these products? Share your experience in the comments below.